What do President Obama, Bob Marley and Jamaica Have in Common? President Obama made headlines when he landed in Jamaica approximately 7:31pm on Wednesday night, the first US President to visit the Caribbean country in over thirty-three years. Moments after arriving, the President made an unexpected visit to the Bob Marley Museum on Hope Road in Kingston to pay tribute to the world’s most notable and widely acclaimed reggae artist, Robert Nesta “Bob” Marley. The President’s spontaneous trip to the museum shows the power and reach that Reggae music has on the lives of world citizens near and far. Obama showed the world what reggae means to him; while touring the museum he was heard saying “I still have all the albums.” Reggae has continued to grow since the time of Bob Marley and there are many organizations in the front line striving to preserve this world renowned art form. One such organization based in NY is currently in their tenth year of striving to preserve reggae music. The Coalition to Preserve Reggae Music (CPR) was founded by two reggae lovers Sharon Gordon and Carlyle McKetty. The Brooklyn not-for-profit has been a staple in the community, having created a platform for speaking to issues that affects people within the music industry as well as in their community. Each year, CPR hosts Reggae Cultural Salute, a multimedia event that commemorates the coronation of Emperor Haile Selassie I of Ethiopia with a celebration of the relationship between reggae Rasta, Emperor Selassie and Jamaica. The event boasts a family atmosphere in which to learn about the history of reggae and the culture from which it was birthed. Most recently, CPR teamed up with Brooklyn Center for the Performing Arts at Brooklyn College of the City University of New York to host the International Women of Reggae on April 25, 2015. The event, which marks the organization’s ten year anniversary celebrates the feminine energy in reggae. The headliner for the #IWOR concert is Etana (the Strong One) who recently made International headlines when her inspirational song “Better Tomorrow,” was selected as the theme song for the UN’s Campaign against Ebola. Etana has donated the proceeds from the song to the campaign and will be honored for this at the event. For more information about how you can help in the fight against the Ebola epidemic, visit the United Nations Mission for Ebola Emergency Response (UNMEER) at their website www.ebolaandbeyond.com. To answer the question first posed, what do Obama, Bob Marley and Jamaica have in common, the word is Reggae! Reggae is known for its contagious beat, social commentary, healing properties and spiritual uplifting message and has crossed all barriers to touching the hearts and souls of millions across the globe, including President Barack Obama. For all thirty one days of March, I was deeply immersed in the rich history and fascinating world of female reggae artist. The Coalition to Preserve Reggae Music celebrated Women's history month in a great way this year with education, entertainment and social media outreach as everyday, patrons of the "Reggae Lovers" organization had an opportunity to learn, and share the love they had for the feminine energy in reggae. I never really knew how many women successfully traversed the waters of reggae but in March, my musical journey with CPR helped to broaden my scope and expand my knowledge base and I am extremely grateful for this opportunity to participate. Thumbing through artist bios and old memorabilia via the internet has opened up a whole new world for me. As if that was not enough, on the thirty-first day of Women's History Month 2015 CPR wrapped up in grand style via their Facebook fan page. The countdown to April was jam packed with a woman in Reggae being featured every hour on the hour. For those who missed the festivities, there is no need to fret; all of the month's pics, bios and videos are cataloged on facebook. Be sure to visit www.facebook.com/cprreggae to learn more. But wait before I sign off I have to tell you the fun is not done yet. CPR Reggae Lovers are also busy getting ready for the highly anticipated International Women of Reggae Concert taking place on April 25, 2015 at the Whitman Theatre, Brooklyn College. "CPR was blessed to be invited by Brooklyn College to collaborate in this event as we celebrate ten years of raising the bar in reggae music and we are pleased to share this blessing with our members as well as organizations wishing to do a theatre party fundraiser," says Sharon Gordon chairperson of CPR, speaking of special discounts to the event. "Brooklyn Center for the Performing Arts is thrilled to partner with the Coalition to Preserve Reggae Music to showcase the incredible breadth and depth of today's best female international reggae stars," says Jon Yanofsky, Director of the Brooklyn Center for the Performing Arts at Brooklyn College. The #IWOR concert is the perfect completion to a great month of recognition and celebration. There are only a few weeks to go, so start getting you outfits and tickets ready. I look forward to attending the #IWOR and hope to see you there as well. 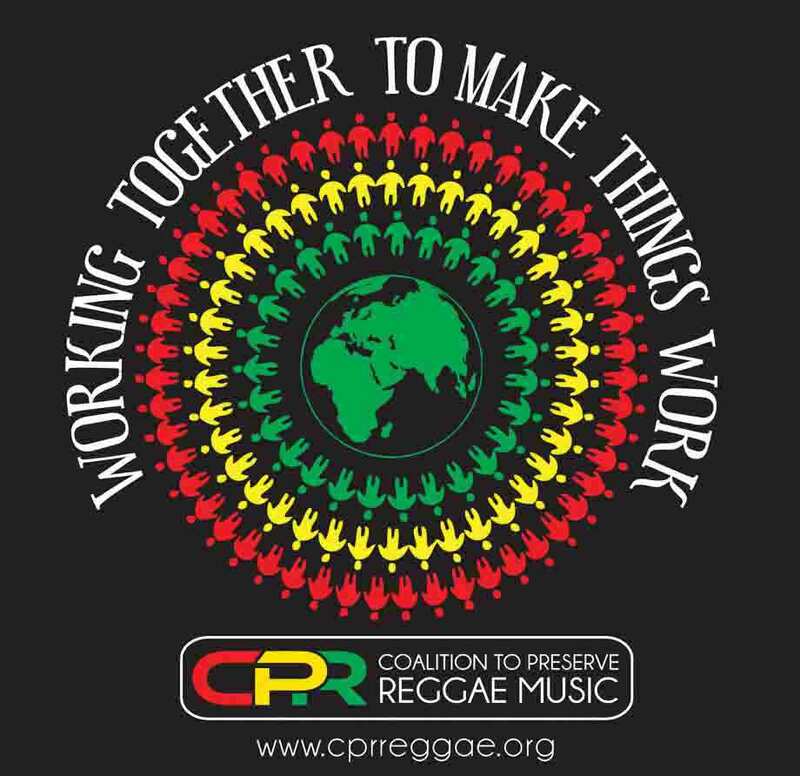 Spring is in the air, birds are chirping, reggae enthusiasts are singing and for an entire month, Coalition to Preserve Reggae Music (CPR) is imploring reggae lovers to share their rendition of a favorite song on social media. The CPR Songbird Challenge starts today and on the 25th of April, culminates in a Songbird Fest at the International Women of Reggae concert, featuring Etana, Nadine Sutherland, JC Lodge, Shuga and more. The CPR Song Bird Challenge and social media campaign aspires to be a feel good event with lasting benefits. Notably, the prelaunch garnered a flood of videos with memorable participants ranging from an adorable 90 year old named Gloria singing the classic “Wings of a Dove”, to a beautifully clad young girl with her rendition of Etana’s “Jamaican Woman”. The “sing like a song bird” challenge is open to all and CPR is calling on participants to use their camera phones to record a 15-30 second video of themselves, family and friends singing their favorite reggae song. Next they should upload it to social media, visit the CPRReggae page on face book,like the page and share & tag CPRReggae on their video post. The Coalition to Preserve Reggae Music invites you to “whip out your phone and sing like a song bird,” to post all videos with the hastag #songbird, and to title the video CPR Song Bird Challenge. For more information, visit Coalition to Preserve Reggae Music on all Social media platforms. Brooklyn, N.Y., March 23, 2015... Tickets to the International Women of Reggae, scheduled for Saturday, April 25 are now on sale in local outlets in Brooklyn, Bronx and Queens in addition to the box office at Whitman Theatre, Brooklyn College where the event will be held and on the websites of Brooklyn College and CPR, co-presenters of the event. Patrons are urged to use these outlets which have very good seats to the event available at this time. In addition, CPR is offering discounts for all CPR members as well as groups of as few as ten, with the discount increasing as the size of the group increases. "CPR was blessed to be invited by Brooklyn College to collaborate in this event as we celebrate ten years of raising the bar in reggae music and we are pleased to share this blessing with our members as well as organizations wishing to do a theatre party fundraiser," says Sharon Gordon chairperson of CPR. "Brooklyn Center for the Performing Arts is thrilled to partner with the Coalition to Preserve Reggae Music to showcase the incredible breadth and depth of today's best female international reggae stars," says Jon Yanofsky, Director of the Brooklyn Center for the Performing Arts at Brooklyn College. Tickets are $30, $45, $60 and $100. Join us for a night of hits in celebration of the feminine energy in reggae music. Nadine Sutherland's career history fits none of the stereotypes commonly attributed to Jamaican popular music stars. She made her stage debut at the age of nine as a winner of Jamaica’s popular Tastee’s Talent Contest. International reggae superstar Bob Marley, signed her to his Tuff Gong label while she was still an adolescent. Nadine went from being known as reggae’s “Teen Queen” with hits like “Starvation” and “Until” to garnering international acclaim as the co-lead on dancehall anthems “Action” and “Anything for You”. Considered by fans and critics alike to be the premier Jamaican female vocalist of her generation, Nadine continues to fulfill the promise she demonstrated as a child. Throughout the 90’s, Nadine was center stage in the dancehall with solo hits like “Babyface” and “Wicked & Wild” as well as her collaborations with top deejays including Buju Banton, Mad Cobra, Spragga Benz, and, of course Terror Fabulous and Canadian sing jay, Snow. Hit ballad “Pair of Wings” highlighted Nadine’s songwriting ability. Released near the time of the shocking death of promising reggae singer, Garnet Silk, her earnest and tender performance became the unofficial tribute. The 1997 release of her self-titled album on VP Records further showcased her depth and sincerity as a writer and a performer. The song “No, No (Not My Baby)” is one of the most powerful mother-to-son ballads ever written. Live performances of the song have brought tears to the eyes of the toughest men. A native of South London, Sandra Cross is the only girl among seven brothers. She started singing in the Pentecostal Church and led the choir when she was nine. At 14, she recorded with a friend as Love & Unity. Their recording was the first prize for winning a talent show with a song Cross wrote entitled "I Adore You." Released on Studio 76 Records, it was number one on Britain's reggae chart for four straight weeks in 1979; They followed with three Top Five hits: "I Just Don't Care," "I Can't Let You Go," and "Put It On," before splitting up. After the breakup, Cross wanted to go solo but met The Mad Professor, a producer, who owned Ariwa Records. He chose Cross for an all-girl band called The Wild Bunch, whose lone album entered the reggae Top 20 chart in 1984; they toured Europe for a year before disbanding. Cross' first solo release was a remake of the Stylistics' "Country Living," which aced British Chart for ten straight weeks in 1985. Her second solo attempt, "You're Lying," nested at the top spot four weeks, Ariwa released her debut solo album Country Living in 1986. She won the British Reggae Awards for the Best Female Singer six consecutive years in a row, from 1985 to 1991. Other awards included the Radio London Entertainment Celebrity Award in 1986. In 1989, she snagged The Voice Newspaper Music Awards as Best Reggae Female Artist, and won the Chicago Radio Awards for the Highest Selling Record in 1990. Ariwa released six albums on Cross' including The Wild Bunch LP; in 1992 she recorded Lovers Interlude, on Teichiku Records. In 1996, she recorded her first reggae/jazz album, Just a Dream, on Pioneer Records, a Japanese label like Teichiku. Cross' latest recordings have appeared on SCM Records, an acronym for Sandra Cross Music. Reggae music is amongst the myriad of genres in music who have left timeless tributary selections on record. One would venture to say that a substantial amount of lyrical content have been created over the past decades, however if we listen closely the messengers of music do not always speak favorable of women. When one finds a reggae song or in this case many that edifies the role of the feminine principle it is a joyous occasion. This expansive collection of adoration and love for feminine is perfect for the time and season that we currently find our selves in. International Women's Day and Women's history month is upon us, what better way to pay tribute than to rock to some reggae rhythms. By the way did we mention the entire selection of ten songs are penned from the hands of men to the women of the world. Enjoy! Let us know you thoughts about these songs. Alfarita Constania Anderson was born on July 25, 1946 to parents Cynthia “Beda” Jarett and Leroy Anderson. She is affectionately called “Rita” an abbreviated version of her birth name Alfarita. During Rita Anderson’s early childhood her parents separated and she was adopted by her Aunt Viola a well-respected seamstress. They lived in Trench Town Kingston. As a benefactor of countless humanitarian causes her works extend outside of Jamaica and has reached as far as Africa. In year 2000 Mrs. Rita Marley was enstooled as Nana Afua Adobea (Queen of Development) in Konkonkuru, Ghana. A patron of the Konkonuru Methodist Schools in the Aburi Mountains of Accra Ghana, Nana, as she is affectionately called, assisted over 200 children of the Konkonuru Methodist Schools. She is always soliciting assistance for the children and the Konkonuru community. Nana Rita has successfully spearheaded the repairs to the main road as well as the provision of bore holes to supply safe and clean water. Nana Rita has built the Alpha & Omega Home for the Aged and a clinic to serve residents of Konkonuru. Mrs. Rita Marley’s musical career has seen the production of four successful albums: Who feels It Knows It, Harambe, the 1992 GRAMMY nominated album We Must Carry On, and Spectacle For Tribuffalos, as well as the classic reggae album Beginning, with the I-Threes. Her sizzling 1982 hit “One Draw” created shockwaves around the world and was a massive bestseller. Over two million copies sold. The song made music history as the first reggae single to top the Billboard Disco Charts. It was re-released in April 2014 under Shanachie Records.Mrs. Rita Marley’s live performance has been captured on the Marley Magic videotape as a memento of the 1996 concert, which broke attendance records for the annual Summer Stage Concert in Central Park, New York. Her most recent album Sunshine after Rain features tracks produced by her son Stephen Marley, Sly and Robbie, Grub “Asley” Cooper, Denis Charles and Wyclef Jean. Mrs. Rita Marley has extensively toured the Caribbean, Africa, Japan, Canada, the Americas, South Pacific, Australia, the United Kingdom and Europe. Her appearance with the I-Threes, the Wailers and her children The Melody Makers – for a performance with the Fugees at the 1997 GRAMMY Awards marked the first time that any reggae artiste performed for a GRAMMY audience. In 2003 Mrs. Rita Marley toured the South Pacific islands of Tahiti and Noumea. This undisputed Queen of Reggae has performed at the Reggae All Stars concert in Nassau, Bahamas. Swaying palms wrapped in sparkling lights illuminated the Fort Lauderdale Harbor Resort sea side venue, my table aglow with the warm flicker of candles and smiles emanating from the attendees of the Black Enterprise Women of Power Summit. Until this moment, I had never had such an opportunity to experience this diverse array of synergistic positive feminine energy. Smiles, laughter and embraces perfumed the air. New friends were made and old ones embraced with warmth and joy. This year boasted the largest attendance to date in Black Enterprise history with over 1000 women in attendance. The opening night was a "white carpet" event designed around purpose and pearls with a keynote speech delivered by Carla Harris, Vice Chairman of global Wealth at Morgan Stanley. Many attendees whom I became acquainted with hailed from more frigid regions of the country. Countless women could be over heard telling familiar tales of flight delays, snowy departures and anxiety mixed with gratefulness that they even made it to the event at all. During story time and intermission I could feel the sea breeze as it blew gusts of wind over the masses. Suddenly the sky opened showering down an unexpected South Florida night rain. Everyone made a mad dash for cover; they quickly relocated inside. The ladies continued to mingle in the lounge of the Harbor Beach Spa and Resort socializing and preparing for the next two days of inspiration, education and positive vibrations. I had the auditory pleasure of listening to eloquent, authentic and awe inspiring speakers such as Lisa Nichoals, Vernice "Fly Girl' Armour, Melody Hobson, Susan Taylor, Pam Grier, Star Jones, Judy Smith, Madeline McCray and many more. Their candid talks transcended scripts giving their words an air of genuineness. The event coordination team secured wholesome entertainment in the form of the female headlined comedy show "Hey Ladies" featuring Amberia Allen, Hadiyah Robinson and Zainab Johnson. The night culminated with a throw back world famous R&B group Boyz to Men. Boyz to Men sung memorable melodious words, taking me back to sing lyrics like "when love was strong" and "Mama you know I love you." All of these heartfelt moments coalesced into a precious gem of an experience for me. The on time service delivery and the ambiance of the summit were superb, underscoring the intuitively in-sync production. The summit, staged March 2nd-5th marked the beginning of National Women's History Month and today I share this experience with my International sisterhood community in light of International Women's Day. Over the course of time, the roles and relevance of women have become convoluted and the scales have been tipped, leaving the role of women less desirable. These day-long to month-long observances serve as a barometer to remind us about that which is so easy to forget. This month's observance exemplifies the fact that women are relevant and should be given respect for the part they play in society. Social constructs of business, arts and education are areas in which women have left indelible marks. From this vantage point of the Women of Power summit, I can see more notable events to come. One such event on my agenda is one sponsored by CPR, The Coalition to Preserve Reggae Music. CPR will also be celebrating women with the International Women of Reggae or #IWOR, an all female reggae artist line up coming on the 25th of April. This star studded show will take place at the Whitman Theatre at Brooklyn College in New York. As for the month of March, CPR will be running a month long social media campaign and tribute to women in reggae, highlighting their contributions and accomplishments. For all of the organizations who have dedicated this time to remembering the importance of women, I extend a huge thank you as a daughter, sister, mother, wife and woman for creating a platform to encourage, innovate and educate the feminine principle. JC Lodge, (born June Carol Lodge, 1 December 1958, London, England), is a reggae singer, actress and fine artist. Her breakthrough hit "Someone Loves You, Honey" became the best-selling single of 1982 in the Netherlands. Lodge is also an accomplished painter, having exhibited in Kingston art galleries, and has acted in several theatre productions. Born to a Jamaican father and British mother, JC Lodge was taken to Jamaica as a child. There, the Beatles fan soon became immersed in R&B and reggae, and sang along to everything she heard. Towards the end of high school, a relationship with Errol O'Meally led her further along her music path. He, a budding songwriter, used her voice to present some of his material to Joe Gibbs' Recording Studio. Both the songs and the singer were well received, and JC was asked to record Charley Pride's hit "Someone Loves You, Honey" in 1980. The reggae version of the country and western tune topped the Jamaican charts, and earned the singer gold and platinum discs in the Netherlands. In fact, it was the #1 top-selling single of 1982 there. While the record was a big hit, it bankrupted Gibbs as he had failed to pay royalties to the songwriter. An album of the same name, featuring the deejay talents of Prince Mohamed was released in 1982. JC Lodge followed this with 1985's Revealed album, before signing to Gussie Clarke's Music Works label, and releasing I Believe in You and Selfish Lover albums. "Telephone Love", recorded for Clarke in 1988, was the first dancehall reggae track to cross over in the R&B and hip-hop markets in the United States, topping the urban charts in New York and other cities, and earning her a deal with the Warner Bros.-owned Tommy Boy label, although the association would be limited to the Tropic of Love album and "Home is Where the Hurt Is" single, which gave JC, her highest US chart placing, reaching number 45 in the R&B chart. JC Lodge's albums mostly consisted of reggae, but some with R&B and pop material, too, usually written by O’Meally or JC. Producers like Joe Gibbs, Willie Lindo, Gussie Clarke, Errol O’Meally and Neil Fraser (a.k.a. Mad Professor) created products which garnered for JC several hits and prestigious awards around the world. Other hits by JC Lodge includes "More Than I Can Say" and "Make It Up." She sang a duet with Tiger on "Love Me, Baby" and with Shabba Ranks on "Telephone Love." In 2001, she returned to England, and recorded Reggae Country for Jet Star, an album of covers of American country songs.Sing 'n' LearnSince the birth of her daughter in 1994, JC Lodge has been inspired to write original children's songs. She released two cassette albums called Sing 'n' Learn, ranging from simple counting and spelling for the littlest ones to manners and environmental awareness for pre-teens. She created a variety of rhythms and styles to appeal to kids everywhere. These cassettes were so well received in Jamaica that the Ministry of Education ordered a copy for every Basic School on the island. In 2000, Lodge was invited by Jamaican National Broadcasting Association TVJ to produce a 13-part children's television series, based on the cassette albums. A critically acclaimed and popular success, the show got awarded by the Press Association of Jamaica and also the Caribbean Broadcasting Union.